IVFdan: Week 33 - Bed rest at home. Today is Wednesday, day 0 of week 33. I really didn't think we were going to make it this far after the scare last Friday (5 days ago) but the docs and nurses at SMH did a fantastic job and now Julija is back home resting. 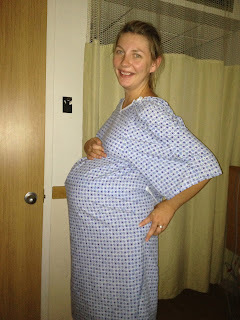 She taking a pill every 4 hours to keep the uterus relaxed -- same thing she was taking in the hospital. I'm working from home for a few days to make sure she stays in bed. 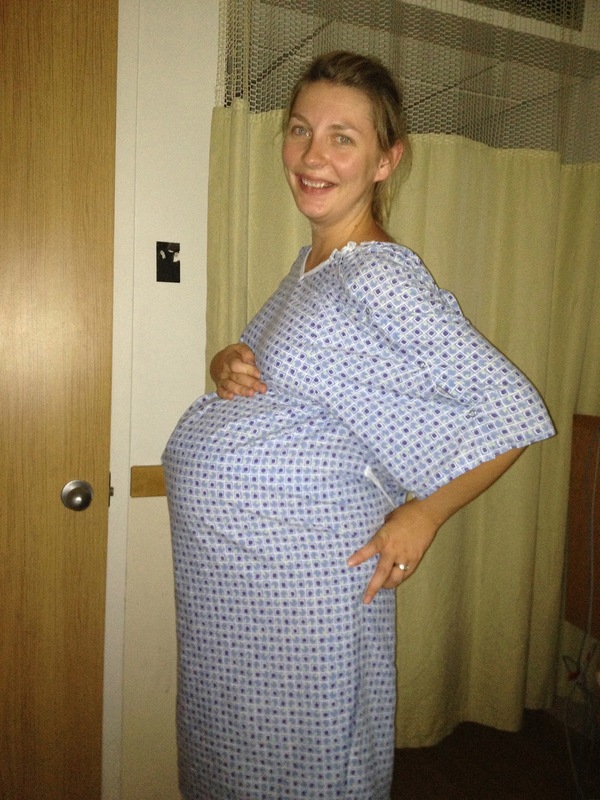 Her contractions at SMH had been "not more than three an hour" which is still within guidelines. She has her cool iphone app to keep track here along with the 4 hour countdown timer for the drugs. Should be good. Every day the RN would come into the room and write on this little board: "Goal: Stay Pregnant"... So guess what, she's still pregnant. A few more weeks would be great but like my [most awesome] Dad would say -- it's nothing that is in our control. We just have to rely on God's great timing. Since we didn't get to take our normal picture this week, I've included the hospital version. Still very cute. Thanks everyone at SMH, SCC and WesternPine for taking such good care of Julija. Love the lovin! One other cool thing that happened at SMH. 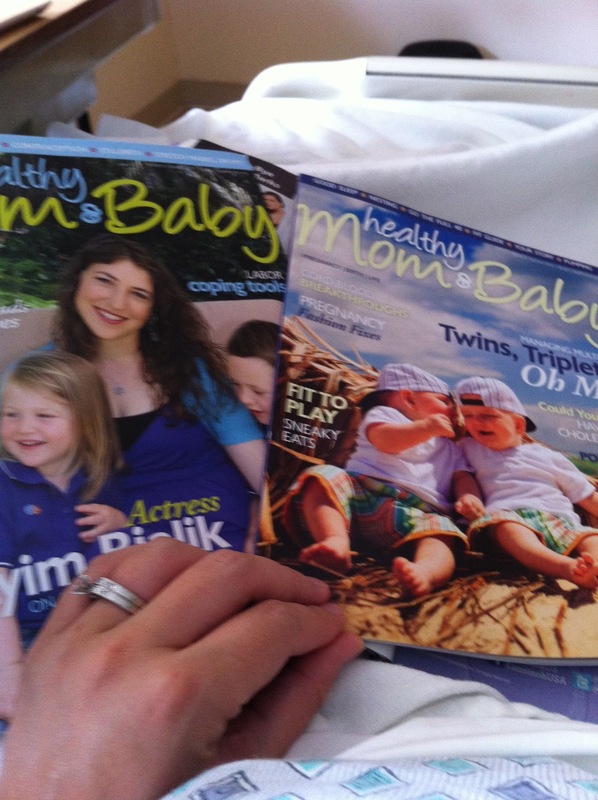 We found one of the magazines they have put out there is called Healthy Mom & Baby. The editor: Carolyn Cockey is one of Julija's best buds and a non-stop source of great information.